Fin de siècle costume. 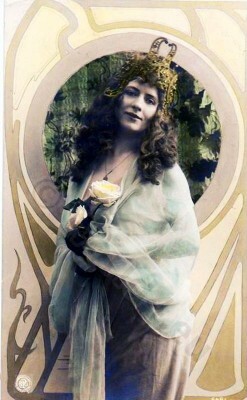 German art nouveau fashion, hair-style and ornament. This entry was posted in 10s, 20th Century, Art Nouveau, Germany, Hairstyle on 5/30/13 by world4.